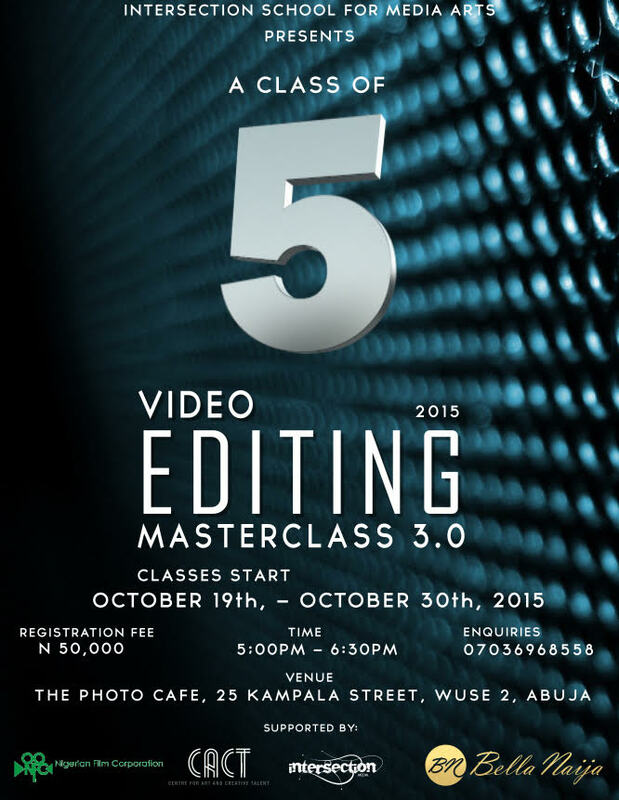 After the Filmmaking Masterclass 2.0 held in August, A Class of 5 is back with the third edition of its Video Editing Masterclass. The Video Editing Masterclass will provide attendees with a strong foundation in non-linear editing with the up-to-date video editing software, enabling all who attend become experts in editing various forms of visual works. The Video Editing Masterclass is the definitive course in non-linear editing as part of the post -production workflow. This class is supported by Nigerian Film Corporation, Centre for Art and Creative Talent (CACT) and BellaNaija. Venue: The Photo Café, 25 Kampala Street, Wuse 2, Abuja. Get your Wedding Bands & Rings at a Bargain from Unveil this month! Hey BN, pls I’d like to know, is this a one time offer or is the institution based in Abuja. I’m interested in this course and some other media related courses but I can’t afford it at the moment.